Thank you for purchasing Babystreet - Premium WordPress theme by AlThemist. We hope you'll enjoy working with it. Before you get started with Babystreet, please be sure to always check these documentation files. We tried to make it as easier as possible to handle the Babystreet theme and almost every feature is deeply explained with visual materials to help you get started. Can't find the answer you need in the theme documentation? We've got you covered! Do not hesitate to contact us on our support forum or drop us a line in the theme comments on ThemeForest. 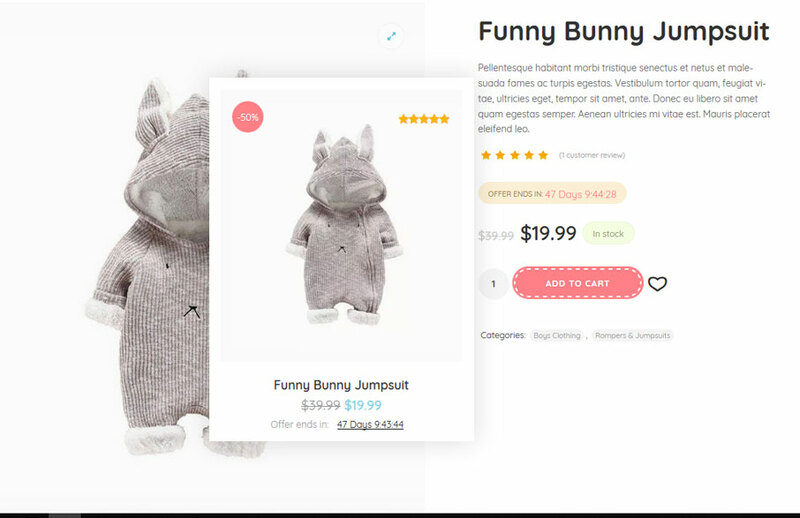 Babystreet Theme is a modern and powerful niche e-Commerce WordPress theme, suitable for all kids and baby online shopping websites, built by proven, world-known e-commerce specialists for both professionals and beginners. The main goal behind creating the Babystreet theme was to offer a sophisticated platform, following the latest tendencies in modern web design. Despite the modern and complex structure, the theme is clean and light by nature so it's suitable for any type of online presence and proves once again that WordPress could be used not only for personal blogs and small projects but also as a fully professional website solution. Tired of themes that needs an additional expensive plugins/extensions in order to simply function as it should? Well, this is what Babystreet is all about. The theme comes packed with huge number of customization options and tons of custom, built-in professional features which would cost you additional 350-400 USD if purchased separately. How many times you've bought a great extension and found it doesn't work with your custom theme? Now you have everything built-in and ready to focus on your main business! In order to proceed with the theme installation, you need to make sure you have the latest version of WordPress (4.9.8+) on your self-hosted site. The theme has been built to work with the latest version of WooCommerce (3.5+). To install this theme you must have a working version of WordPress already installed. For information on installing the WordPress platform, please see the WordPress Codex. Upon downloading the main .zip file from Themeforest, you'll have all files you need inside. Extract the .zip file you downloaded and inside you will find the theme zip file called "babystreet.zip", that is the file you need to install. Please Note: You can install the theme in two ways: through Wordpress admin, or via FTP. If you have trouble installing the theme via Wordpress, please proceed with installing it via FTP and you will be able to get around the issue. Click Install Themes and hit the upload button. Navigate to find the "babystreet.zip" file on your computer and click "Install Now" button. There are known issues with FTP clients for Mac computers which replaces the existing folders instead of merging with the theme folders. I would strongly recommend you to use FileZilla if you are using a Mac computer. Importing the theme demo data is as easy as clicking on a single button. Navigate to your WordPress Admin area > Appearance>Theme Options > Import Demo tab and click the button on the left side. 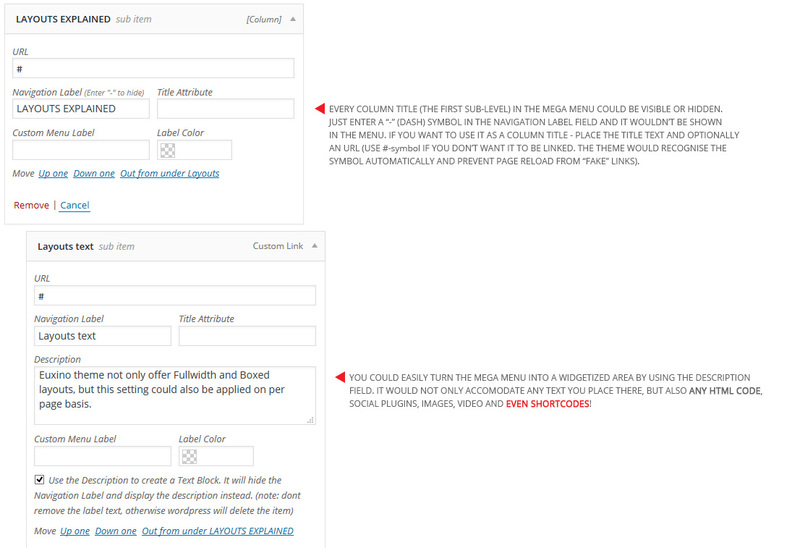 Keep in mind that in order to use the demo import feature, you'd need to activate your theme license. You can't import the demo data using the Babystreet Child Theme. Please, switch to the original Babystreet theme and activate the child theme (if you need to) after the import. Importing the theme demo data will replace ALL existing content with the demo content!!! Before you import the data make sure that you use fresh WP installation, the theme is activated and all required and recommended plugins are activated!!! This theme comes bundled with several plugins and also requires other plugins in order to have the full functionality. Babystreet Plugin - includes definitions of all widgets and custom post types used by the theme. Revolution slider - premium responsive slider plugin. WooCommerce - allows you to add e-commerce functionality. YITH WooCommerce Wishlist - allows you to add Wishlist functionality to your e-commerce. Contact Form 7 - allows you to add unlimited contact forms everywhere in your site. WPML - The WordPress Multilingual Plugin. There are two ways to update your theme - Manual and Automatic. Keep in mind that in order to set automatic updates, you'd need to enter your Envato username and Envato API key in the Babystreet Updates tab of the Theme Options . 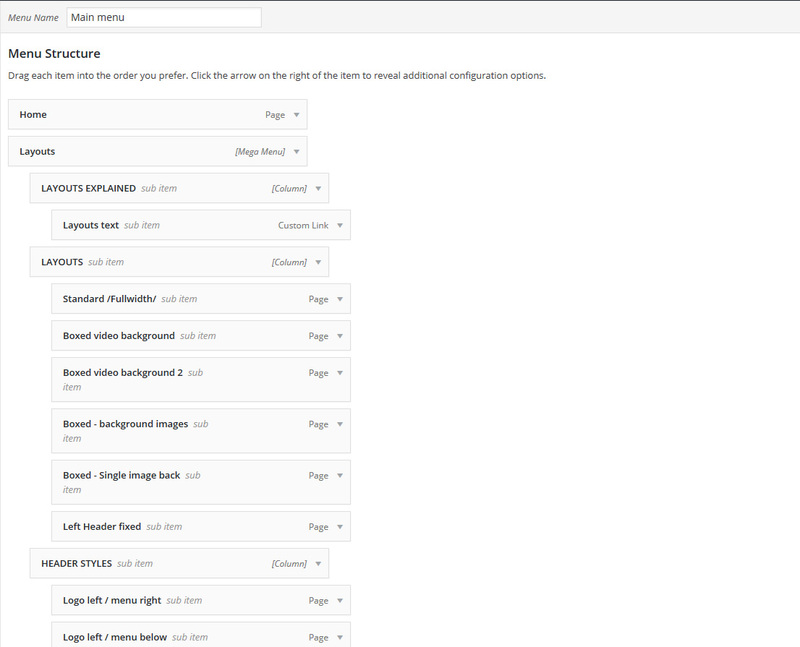 In order to get automatic theme updates, make sure you have installed the Envato Market plugin. With this plugin installed and configured, everytime there is an update it would be available for download and installation through the native Wordpress updates engine. Download the latest theme version from ThemeForest and make sure you only get the theme files, not the whole package. Remove the Babystreet folder in your wp-content/themes directory and upload the new one. (alternatively, you can just drop the new folder there, but make sure all files will be overwritten and not merged). No matter which option you chose, when the new files are uploaded, you'd need to check if there are updates for the theme plugin (Babystreet Plugin) and all other bundled plugins like WPBakery Page Builder and revolution slider. 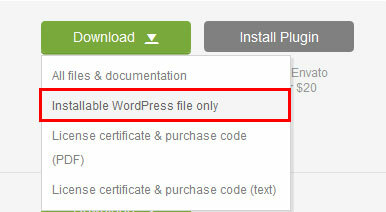 if there are updates available, you'll see a "Install Plugins" sub-menu in Appearance menu of your WordPress admin. Please, always check if there are new plugins when you update the theme. Otherwise, it may cause errors on your site. When the theme files are uploaded and you activated the theme and required plugins, you would also need to make some settings configuration. For Front page select the page you want in the select box. If no demo content is uploaded you will need to create a new page. For Posts page select the page you want in the select box. If no demo content is uploaded you will need to create a new page. In the WPBakery Page Builder editor chose the Projects elements. Configure the element options as per your needss. Create some projects to be displayed in your portfolio page. Weh you install the WooCommerce plugin, it would automatically create all pages needed for the shop, including the main "Shop" page. 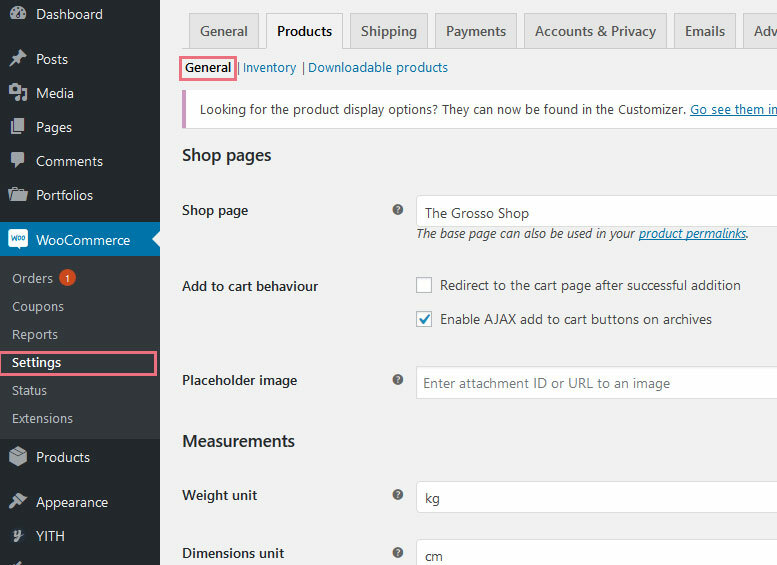 Alternatively, you could set a custom shop page in WooCommerce>Settings>General. You would also need to set the recommended for the theme product image sizes under Appearance > Customize > WooCommerce > Product images. Babystreet Theme Options is the place where you can control the appearance and some of the functionalities of the theme like creating and setting sidebars, image preview types, colors, backgrounds, fonts, countdowns, sliding blocks etc. The Babystreet theme gives you the ability to place a fuullscreen video background (*youtube only! ), fullscreen image/images slideshow background on selected pages. All pages except shop categories, could have their individual settings with different backgrounds OR you could set the backgrounds globally (for the entire site, for the entire shop area, for the entire blog area etc.). Video backgrounds are always first! If you set a global image background for the site, you can still set a different video or image background/slideshow on per page/area basis. Video start time (in seconds) (*REQUIRED) - this is the second from the video beginning where you want it to start playing. Usually it is set to 0 so the video starts from the beginning. 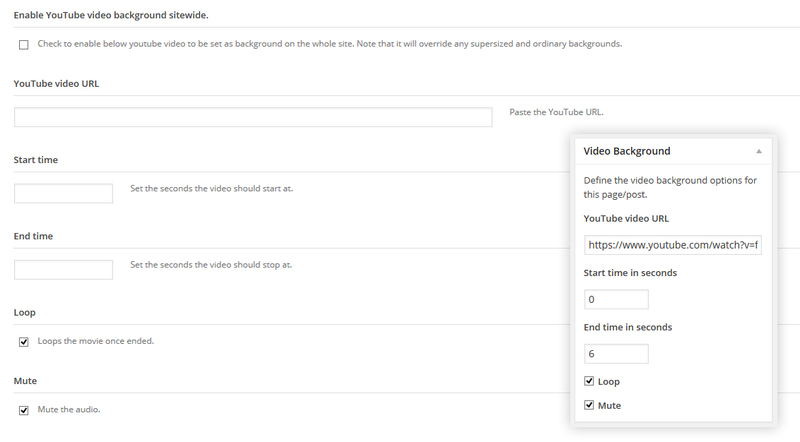 Video Loop (OPTIONAL) - whether the video should start again when it reached the end or not. All the theme options are selfexplanatory and easy to understand. All theme options have their default values pre-assigned. If you want to reset the settings, just hit the "Reset defaults" button on the bottom left of the page. Babystreet Theme comes with built-in (no plugins needed) Mega Menu functionality. Setting-up the mega menus is extremely easy and follows the default WodPress menu building process. Every options is intuitive and self-explanatory. Small tips are displayed when needed. Babystreet Theme menus also gives you a custom menu item labeling functionality. Every single menu item could have it's own label with custom background color so you could easily drow your visitors attention to certain areas. The Babystreet theme comes with the famous WPBakery Page Builder drag-and-drop page builder by WP Bakery. We took an extra step with the WPBakery Page Builder integration and included tons of custom built content elements like Babystreet specific product listings, Posts listings, entire Blog listing, Icon titles, Icon Boxes, Icon teasers, portfolio listings and many more. While the WPBakery Page Builder comes built-in and integrated within the theme, keep in mind you don't actually have a full license, so you can't update it by yourself and you can't ask the WPBakery Page Builder developers support questions (unless you have purchased a separate license). Even if you have purchased a separate license, we would STRONGLY RECOMMEND you not to update it by yourself and wait for a theme update instead! The theme theme is constantly updated and improved, so we would do our best to update all plugins as soon as possible, when a new version is out. If you face dificulties with the WPBakery Page Builder plugin, consult with the plugin documentation provided with the theme or check the video tutorials available online. The Babystreet theme is using several types of slideshows on different locations. 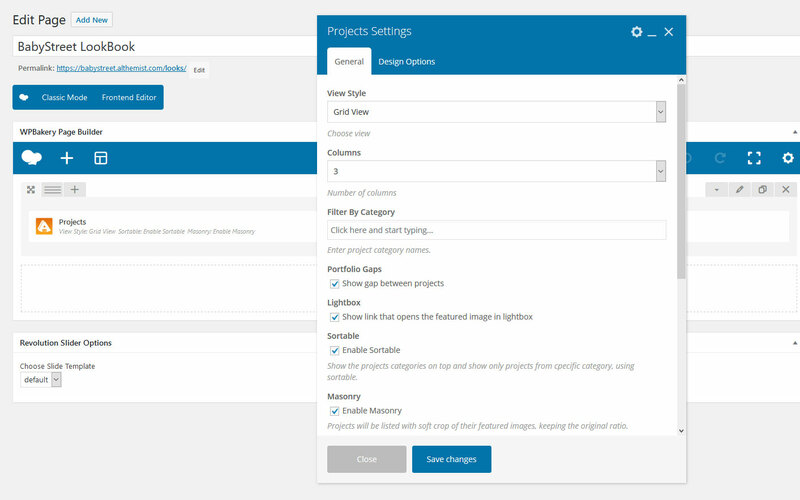 Flex Slideshow is also used (optionally) in portfolio projects (unless you set a CloudZoom gallery or Image list option, which is made individually for every project in it's edit page). Flex Slideshow could also be assigned manually to ANY position in content of pages and posts using the WPBakery Page Builder shortcode. The OWL carousel slideshow is an option enabled in Theme Options, converting all related products, related posts and related portfolio projects into a swipe/touch enabled responsive carousel. It could be set ON/OFF in Theme Options and the setting is global for all related products, related posts and related portfolio projects. Additionally, Babystreet theme provides with an option to display blog posts shortcode, portfolio projects shortcode, Product lists shortcode and product categories shortcode as carousel OR grid. Asthe name suggest, this is a WPBakery Page Builder element, where you can place ANY content in separate slides. Build hero page sliders or custom content sections - your imagination is the only limitation. 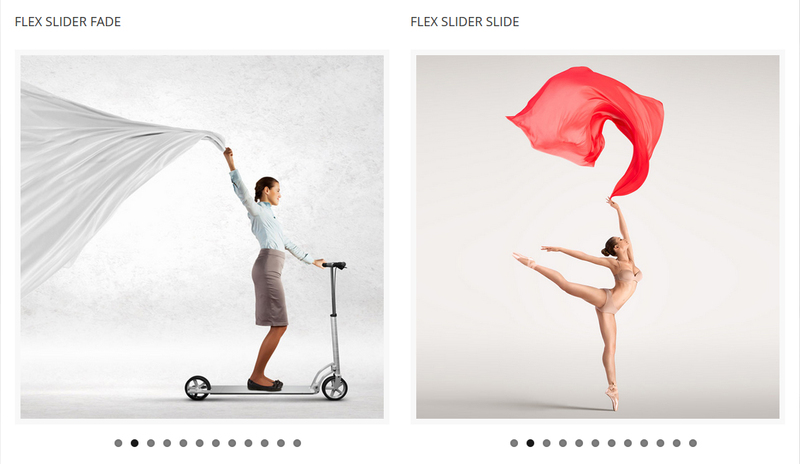 Revolution Slider is an advanced, multilayered responsive sldier plugin built by ThemePunch. This plugin features tons of unique transition effects, an image preloader, video embedding, autoplay that stops on user interaction and lots of easy to set options to create your own effects. Before you can use the sliders in your posts and pages, you would need to create them. Than you could simply attach them as a featured slider of your posts and pages. 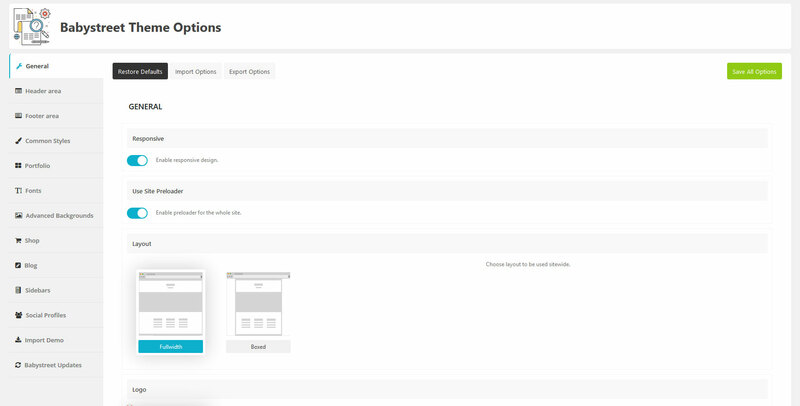 Alternatively, you could use the Revolution Slider integration with the WPBakery Page Builder and place sliders wherever you want in your content. IMPORTANT: THE REVOLUTION SLIDER INCLUDED WITH THIS THEME DOESN'T GIVE YOU A SEPARATE LICENSE FOR THE PLUGIN ITSELF! AS YOU ARE NOT A LEGIT PLUGIN BUYER, YOU CAN'T ASK THE PLUGIN AUTHOR FOR SUPPORT! Even if you have purchased a separate license, we would STRONGLY RECOMMEND you not to update it by yourself and wait for a theme update instead! The theme is constantly updated and developed, so we would do our best to update all plugins as soon as possible, when a new version is out. Make sure your products with discount have "Sale Price Dates" scheduled. Both Start Date and End Date must be set!!! Products on sale without Start Date and End Date would be displayed as normal sale products without countdown. The Babystreet theme limited time offer countdows are prelocalized to 51 languages and work perfectly, converting the countdown automatically, depending on the chosen language. Photodune images by Jordan Rusev, dmitroza, AndreyPopov, DanielDash, andreasgradin, Novic, CURAphotography, Yuri_Arcurs, valuavitaly and other talented photographers. These images are NOT included in the download pack .